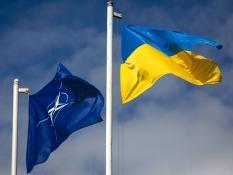 Donetsk People’s Republic authorities object to the perspectives of Ukraine joining NATO. This entry was posted in News from Ukraine and tagged DPR, NATO, Ukraine, World War III. Bookmark the permalink.